A printed paper honour roll commemorates 542 service personnel from the municipality who served in World War One. 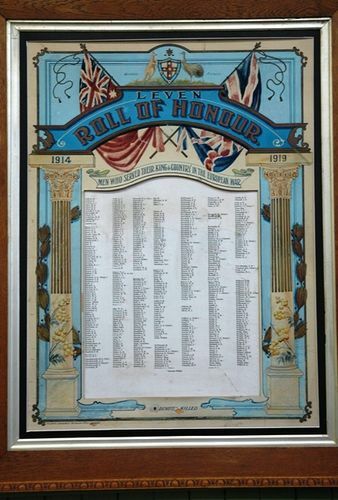 The roll of honour of the Leven Municipality is exhibited by the Warden (Mr. A. S. Lakin) in the window of his shop. It is a very fine piece of work, executed at the "Examiner" and "Weekly Courier" offices, Launceston. It is framed in Tasmanian oak. The roll contains the names of well over 500 of the boys from the Leven district a very high number for so small a population. Examiner (Launceston), 21st April 1923.